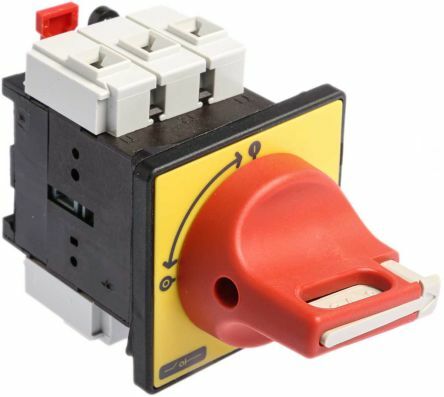 Adaptable with simple attachment of auxiliary contact, neutral pole, or up to 3 main poles to basic 3-pole switchSuitable for main/emergency switching 690V nominal voltageIngress protection IP55Full compliance with BS/EN 60947-3Supplied as complete kit in one pack. 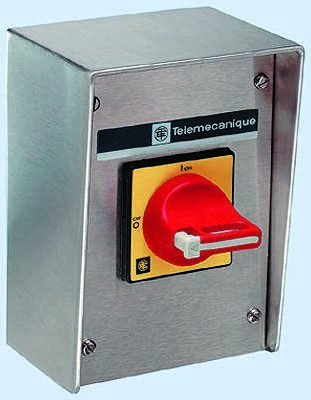 IP 65 ratedA 4th pole, auxilliary contact or neutral pole may be added, see accessories. 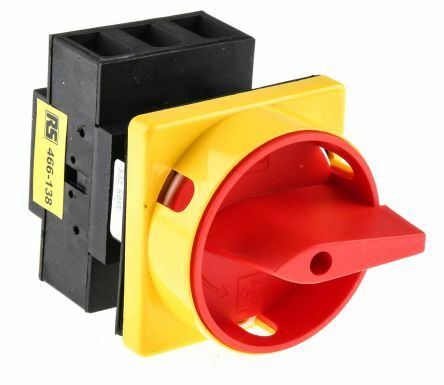 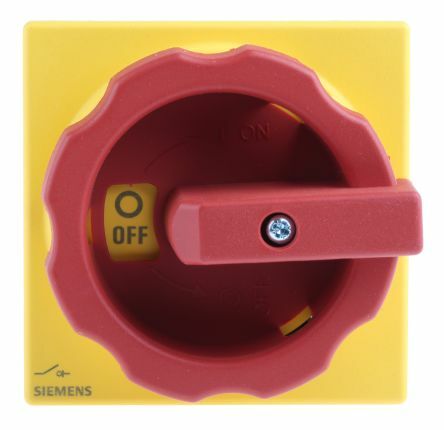 Main and emergency stop switchHandle available in black or red/yellow (emergency stop)Accepts 3 padlocksFront panel seal IP65Side feed with coverScrew or DIN rail assembly.